Modern coolers are definitely something to have while travelling, road tripping, spending time in nature or when you want to have a great time with your friends. Now is the time to direct our attention to the Yeti cooler reviews on their top 3 star products. Below you will be able to find all the essentials, important factors and so much more. Is Yeti Worth the Price? The Tundra 65 is made to withstand almost anything and it is a masterpiece from Yeti. We liked the size, which is massive, so you will never need another additional cooler. Keep in mind that it is also available in desert, blue and white colors so you can match the looks with the rest of the equipment or the location where you are planning to use it. The cooler is extremely durable, which will be further mentioned below. Considering the size and capacity, it is of great value for money as well. That's why this model tops our lists with additional attractive features that we liked a lot. 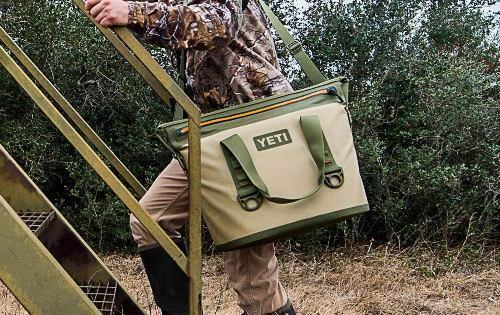 The cooler is made to withstand bear attacks, believe it or not. It has a Fat Wall design, roto-molded construction and it is layered with Perma Frost insulation. All this means that the cooler will stay 100% operational at all times and it will keep your foods and beverages safe and sound at all times. The insulation is 3 inches thick and it will keep your beverages cool even when the temperatures are high. 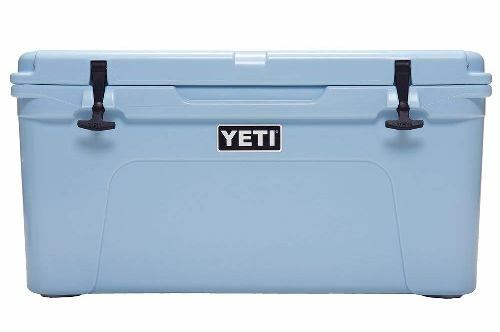 Obviously, a cooler of this kind must come with superior seals, so it uses advanced units which are designed for the biggest and the most expensive coolers Yeti makes. The latches on this particular model are known as T-Rex. They are made of heavy-duty rubber and they can withstand strong pressure, impacts and etc. As such, the latches are extremely resilient and they will make sure the lid is closed tight at all times. 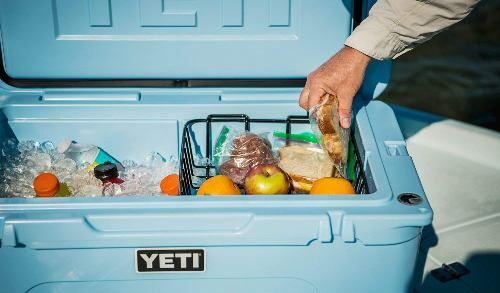 Now we have an opportunity to see one of the most interesting, portable coolers Yeti makes, the Hopper. Don't underestimate this model because it is small and compact, but it is extremely tough. It is an upgraded version of the previous model, now it comes with several additions. Besides the fact it can keep your beverage cool for days, it is also very resistant to damages and heavy-duty use. At the same time, Hopper is comfortable to carry. It is lightweight and even when fully loaded it will still be as practical as you want. In addition, the cooler in question looks great and is also available in several versions. This refers to the material used for the exterior construction. It means that the cooler is extremely durable, as we have mentioned several times and it is suitable for moving through rough terrains. This material is commonly used on heavy-duty, military accessories, so you can understand how effective it is. Of all Yeti cooler reviews, this is the only one that includes the presence of the Hydro Lok Zipper. It is actually the same kind of a zipper you can see on hazmat suits which are designed to reflect bacteria and germs. As such, you can be pretty sure that nothing will get into your portable cooler, not even rain or water. Roadie 20 is one of a more affordably model from Yeti. It will accommodate 14 cans of beer or beverage. 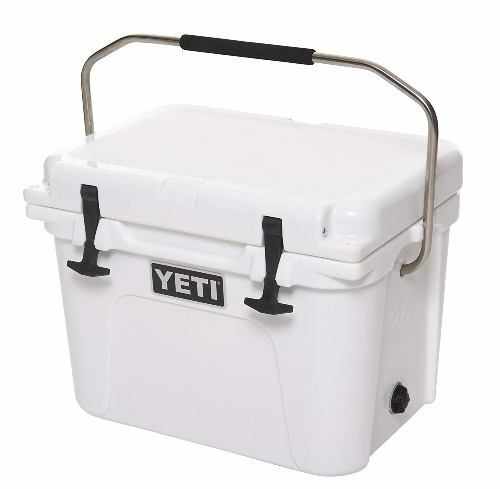 The cooler is also based on the standard technology Yeti uses and it is extremely durable. An interesting difference of this particular model if compared to others is it is available in more colors provide more options for buyers. Now you can have it in bright vibrant orange as well. The tested model shares the same passion as other more expensive coolers have. It is resistant to bear attacks and it looks great. The design is roto-moulded, which is a well-known technique Yeti uses for making their coolers. 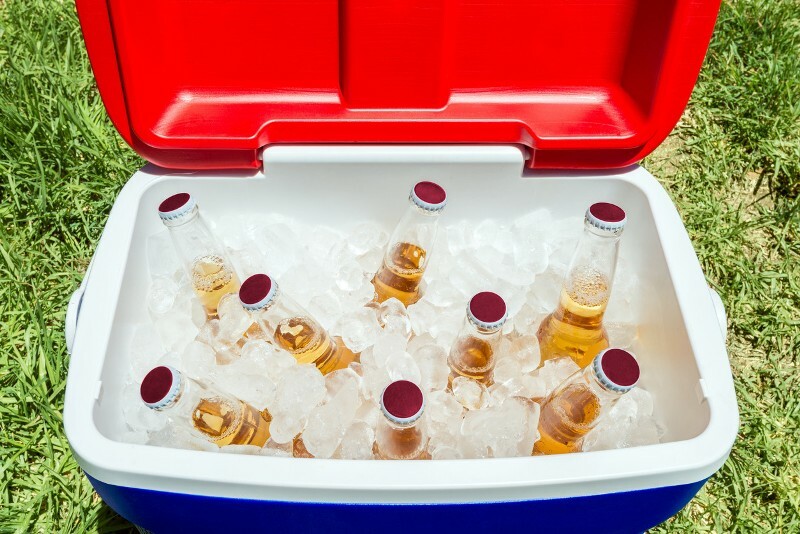 The bottom line is that if you are looking for a small and compact cooler, Roadie 20 is definitely a perfect choice. The insulation is the same as previous model, the 3mm thick Perma Frost insulation. 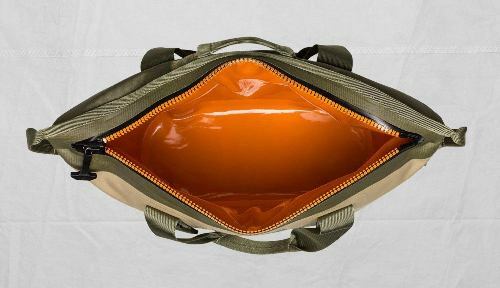 It will make sure your beverages and food are kept cool at all times. This is one of the best insulation on the market and it compromises the weight with efficiency. In other words, you will be perfectly satisfied with the cooler performances. Roadie 20 is built with a massive top handle, made of stainless steel and comes with an added hand element which makes carrying even more comfortable and more appealing. Obviously, in order to get the best cooler to meet your requirements, you are going to need a buyer’s guide. We will summarize what are the important features that you should take note to help you make a wise decision. ​There is no more important factor than choosing the size correctly. We always recommend that users choose a bigger cooler in order to get the additional space which will be needed at some point. Obviously, size is linked to the price, so you will have to find the best mixture of the two. A proper insulation is mandatory when looking for a great cooler. We will advise you to choose models with at least 3 inches insulation. Anything thinner and your new cooler won’t be efficient for a long period of time. Learn to pack your cooler so that your food stay cold longer. Don’t forget that the insulation is linked to the weight, so more insulation equals more weight. An interesting addition is that even the cheapest cooler from Yeti starts with 3 inches insulation. Ever wonder how are you going to carry your new cooler? Obviously you will need handles. There are several types of handle. 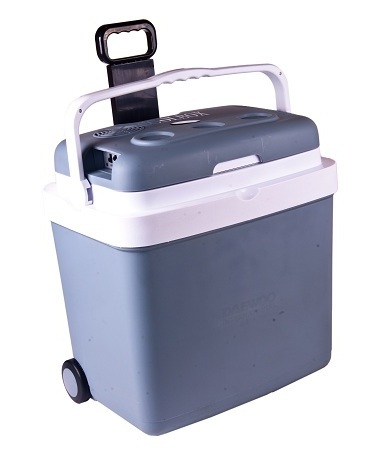 It is advised that you should choose the side handles if you have a large cooler, or if you need help from others to carry it together with you. And, top handles are great for smaller coolers and they allow you to carry the cooler all by yourself. Latches are used to keep the lid closed. They come in several types as well and we have to emphasize that Yeti makes excellent latches. Latches will keep the lid closed perfectly even under a harsh and demanding situation. We especially like the Yeti latches due to the fact they are very simple to use, yet very effective in keeping the lid shut tight. There is no need to add this factor if you are looking for a high-end cooler. But, some cheaper, less-known models do come with poor construction and poor attention to details. Luckily all the models we have discovered for you are superb when it comes to their looks and they will definitely impress your friends. If you are planning to get a bigger cooler, wheels are mandatory. They make the movement so much easier and they will assist you when there is no help nearby. Keep in consideration that the bigger the wheels the better it is. They can perform well on most terrains and even on the grass. It is sad to say that small wheels won’t be able to do so. Check out the Pelican brands, they manufactured some of the best wheeled cooler box. It isn’t a secret that all owners love when they have a color of a cooler which is just the one they have been looking for. In this case scenario, you will be able to choose from many different options. 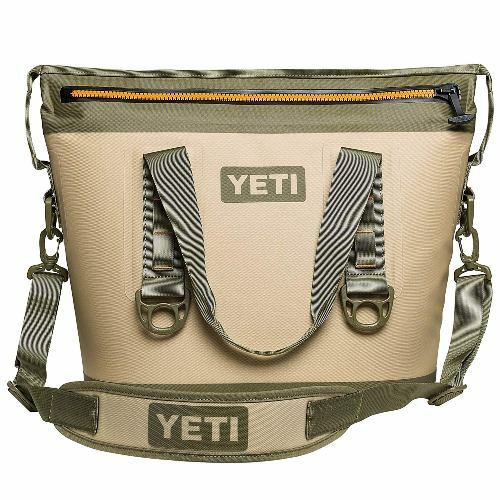 Yeti coolers do come in several colors, provide more options for the users. It is undeniable that warranty is one of the most important factors that you should take into consideration when you are purchasing an advanced and durable cooler. 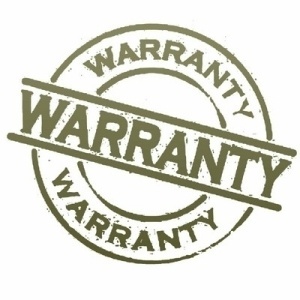 Some brands offer at least starting from 1 year up to a limited lifetime warranty. We would always recommend there is no harm to go for the longer period to give you a piece of mind. However, do take note the terms and conditions from each brands. Optional extra refers to the accessories you can pair with the cooler. There are a lot of possibilities that each manufacturer offer so this matter can’t be generalized. Just keep in mind that more accessories are always a better choice. 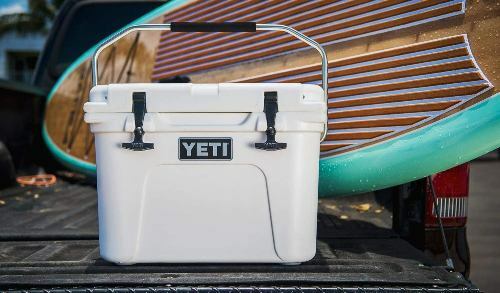 As a matter of fact, Yeti manufactures some of the best coolers on the market and they are usually highly rated with so many advantages and cool features to offer. However, due to its higher price if compared to some other brands, we are going to compare Yeti to other brands to discover if the performance justifies its expensive price. Our first comparison will be with Grizzly. They also make some of the best coolers, but there are a lot of differences. If we take a look on the exterior, you will see that Yeti coolers are smoother and they look better. 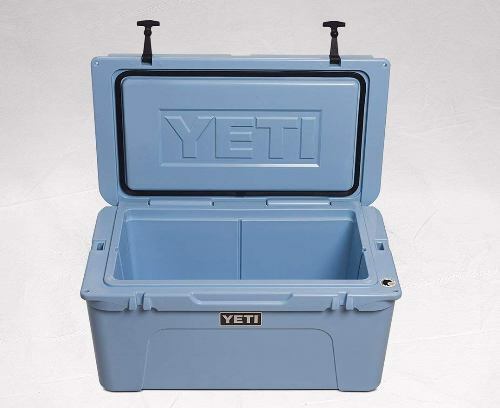 Grizzly puts the coolers together with screws, which has a negative impact on the quality and the finishing touches. When we take a look at the insulation, we can see that both of these cooler brands offer superb levels of insulation. Still, Grizzly uses eco-mate insulation, while Yeti offers their own invention. They still perform excellently, but Yeti coolers are slightly better in our opinion. On the other hand, Grizzly provides a better warranty. They usually offer a limited lifetime warranty for all their coolers, while Yeti has a 5-year warranty. The last but not least, Yeti coolers are known to be more durable. They are commonly used in harsh and demanding situations when users need a super-durable cooler. Both of these brands are very popular at the moment, so we had to compare them. The first thing you will notice is the quality. Yeti coolers are better made and they come with better materials used in the manufacturing process. On the other hand, RTIC coolers usually keep beverage and food cooler for a longer period of time, but the difference is minimalistic. In this case scenario, Yeti has a better warranty. Their models come with a 5-year warranty, while RTIC models have a confusing and limited warranty. 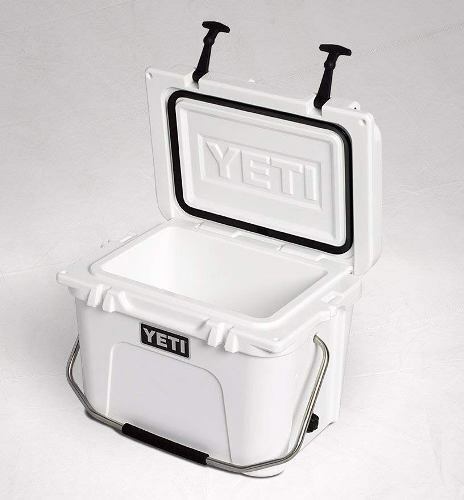 We also know that Yeti coolers are extremely durable and they can withstand almost anything you can throw in them. The price is different as well. Yeti is known to make some of the most expensive coolers available on the market, but they are extremely durable and they are well-made. 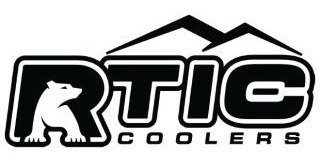 On the other side, we can see that RTIC offers affordable coolers. Still, this is a small difference, so don’t expect to save a lot of money. A Yeti cooler manufacturing cost is higher than RTIC models have as well. 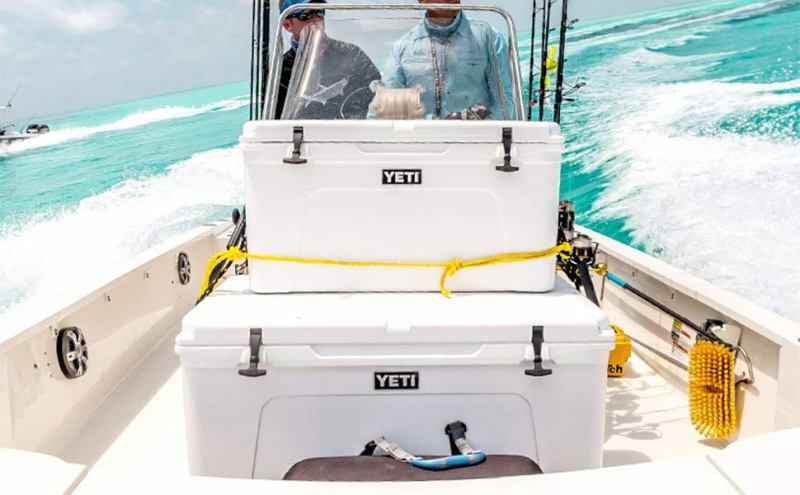 One of the most interesting comparisons is Yeti vs. Orca coolers. At the first sight, they both look the same. The ice retention is similar as well. A Yeti cooler will keep the beverage cool for 5 days, while Orca will keep it 7 days. This is possible due to the fact Yeti has a thinner lid insulation compared to the other brand. But, you will want to know that this also makes it lighter. When we take a look at the available options, we can see that Yeti is superior. They offer over 13 different models available on the market, while Orca has only 6. Yes, the colors are not a strong side of Yeti. All of their models come in one of 3 standard colors. 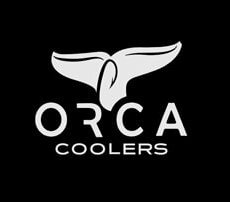 Orca offers all kinds of accessories for their coolers. You can choose the one you want and get it instantly, while the situation is a bit more complicated with Yeti. 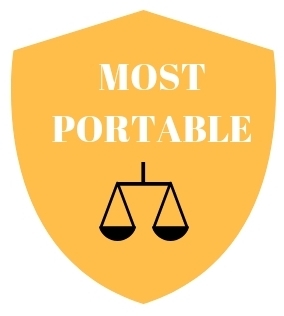 They offer only the most essential accessories and they are a bit more difficult to find. If you understand how does a Yeti cooler work, you will understand that it is a worthy investment. Yes, they may cost slightly more, but at the end of a day, you get an extremely durable cooler that can withstand almost anything and that can be used for any purpose you have on your mind. Yeti coolers are also the most versatile of them all. There are available in 13 different models and they come in all possible sizes, with different features, options and etc. The bottom line here is that Yeti makes some of the best coolers. They look excellent, they are extremely durable and the chances are high that you will always be able to find a model that is just ideal for you. So yes, Yeti coolers are definitely worthy and they should be taken into consideration. Of course, they are high-end coolers, so you will only need one if you are planning to use it regularly for a longer period of time. 1. Are Yeti coolers available global wide? Yes, they are. Yeti has several dealers in the United States and the rest of the world. 2. How long I need to wait in order Yeti to process my order? The processing time is between 1 and 5 days. 3. What is the insulation of Yeti coolers? They use their own, unique insulation which isn’t revealed to the public. 4. Are Yeti coolers safe to use? Yes, they are. All of them are made of materials which are safe for people and animals. 5. How long Yeti cooler can keep beverages cool? In warmer climates, the duration is 5 days. 6. Do these coolers require maintenance? All you have to do is to clean it frequently. 7. What’s the ideal size of a cooler for me? Measure the food and beverages you want to carry in a cooler and add a few quartzes. That is the best cooler for you. 8. Are Yeti coolers resistant to damages? They are very resistant to damages and scratches. 9. Do Yeti coolers come with accessories? Yes, they are. There are plenty of them. 10. What’s the warranty of the cooler? All Yeti products have a 5 year warranty. 11. How many colors are available? Three colors are available. They are white, blue and gray. 12. How many sizes are available? At this moment, there are 13 different sizes. After our complete Yeti cooler reviews, we have to reveal that in our opinion Yeti Tundra 65 is the best among these models. We would love to rate it as 5/5 as we believe that this model is just too perfect. The construction is impressive, the capacity is massive and all other elements are just ideal for all possible applications. It is also the best choice if you are planning to use it for heavy-duty operations all the time. However, the other two models that we have mentioned in this review have also received compliments from the users thanks to their great performance. 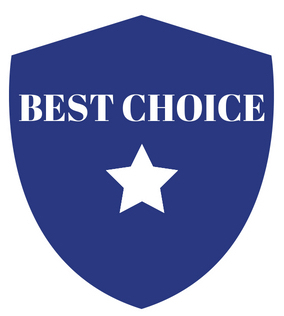 It just depends on your criteria and requirements in choosing the best suited model for your application.